BassingBob.com is an online community of bass fisherman offering valuable membership benefits to bass fishermen of all levels offering highly detailed Lake of the Ozarks fishing logs describing baits used, condition and locations, weekly and monthly fishing reports, up to date tournament schedule and results, interactive maps, bait selector, articles, videos, publications, forums, up loadable photo galleries, all archived on the website to provide members with year round bass fishing information. Bassing Bob is your one stop website with all the updated information you need to prepare for your bass fishing tournament, weekend angling or family vacation trip. The Bassing Bob experts are people that talk and/or bass fish every single day at Lake of the Ozarks. 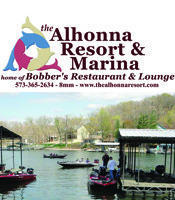 Their combined experience bass fishing Lake of the Ozarks is over 80 years. They are on the water bass fishing several days every single week. They know the pattern that is going on NOW. The pattern this morning may be different than the pattern in the afternoon. The pattern yesterday maybe and in many situations different than the pattern today. They provide feedback to Bassing Bob regularly so our members have a clear picture of the current pattern and save time and money trying to locate this information. What is a Bassing Bob Publication? The Bassing Bob publication is similar to a magazine. It is multiple page, beautifully laid out, ad free publication that offers extremely valuable information to our members about Bass Fishing Lake of the Ozarks. The information for the monthly publications come from our experts, advisors and special guest with different tips and techniques for that specific month. The vacationer publication is geared towards everything vacationers would want to know about bass fishing. It explains, how to prepare, how to bank fish, basics ideas for children fishing, suggestions on what lures to use, fishing from docks and much more. The tournament publication is a 20 plus page publication that includes information that every tournament angler at Lake of the Ozarks needs to know. Preparation is key to cashing in checks in any tournament and this publication has all the information to prepare you to do so. How often is the daily log updated? The goal is to have the log updated everyday. As we all know this is difficult as we cannot be on the water 365 days a year, although we would love to!! We try to have at least 5 logs out per week and many times add reports from our experts. What is included in the daily log? The daily log is the most detailed log available for Lake of the Ozarks. In fact there is not a log anywhere Bassing Bob has found as detailed as the Bassing Bob log. The log includes, date, hours fished, overall fishing, air and water temperature, sky and water conditions, generation(the amount of current), wind conditions, the number of bass caught, number of keepers caught, number of 4, 5 and 6 pounders caught, what baits, color and sizes were uses to catch the bass, Fish Caught,Location/Presentation/Structure, fishing notes that explains the days fishing summarty, pictures from the days fishing including, the bass, baits, structure bass were caught on, graphs, bait fish, locations and much more.